Rob graduated in 2000 from Bristol University with a Masters degree in Geology and Geotechnical Engineering. Wanting to share his love of the mountains and “getting out there”, he began his Mountain Leader training in 2003, and in 2005 became a fully qualified International Mountain Leader. Together with his wife Emma, they walked the length of the Pyrenees on the GR10 route, before establishing MountainBug and settling permanently in Barèges. Emma graduated from the University of Bristol with a PhD in mineral surface geochemistry in 2002, before beginning her Mountain Leader training in 2003. Always passionate about the outdoors and outdoor activities, she qualified as an International Mountain Leader in 2005. That same year she and her partner Rob opened MountainBug in Barèges, High Pyrenees. Rob, Emma and their young family are permanent residents in the Barèges valley. They are the owners of the chalet Les Cailloux. Dan has been leading our high level Pyrenees Haute Route trek for several years now and is also our new climbing instructor. Since 2010 Dan and his wife Becci and their son Aragon have been a back bone to the Mountainbug Team. Half French, half English and also stong in Spanish, Dan already has a handy set of talents. In addition to linguistic skills his knowledge of the area is exceptional and his past as a Legionaire and an Artist gives him unrivalled abilities in team leading, problem solving and banter! Julien has been an International Mountain Leader for 15 years. He has lived in the Pyrenees for 22 years, where he has been able to indulge his passion for wild country hiking, plants, birds and wildlife. 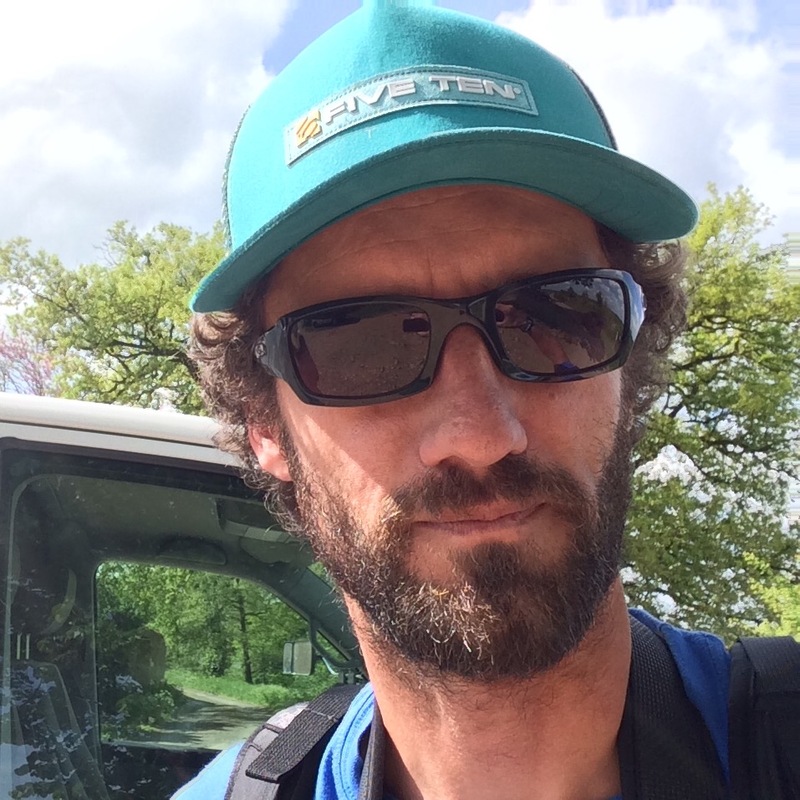 Claiming to be the only French speaking Geordie guide in the Pyrenees, he leads hiking and snow-shoeing groups in both French and English, as well as history trips on the Cathar trail and the Spanish Reconquista trail in Aragon, Spain. Julien is also an expert in animal tracks, being able to tell from next to nothing which animal has been passing by and what it was most likely up to. He enjoys French cooking, good wine and interesting conversation, and can speak French with an impeccable French accent, or, when pressed, an impeccable Geordie one. Henri is a native of the Pays Toy and knows the Pyrenees intimately. A qualified, experienced High Mountain Guide, he can do a range of activities in the High Pyrenees, such as ski-touring and peak ascents, as well as rock-climbing and paragliding. He also leads our Alpine expeditions in partnership with Rob. His calm, friendly manner makes him a safe pair of hands for all our guests, whether they are trying an activity for the first time or are seasoned veterans wanting to try more. Thomas is a passionate caving and canyoning instructor. He qualified in both over 12 years ago and now as well as taking clients caving and canyoning, he also teaches other instructors. Our guests love Thomas because he is fun, ensuring everyone has a great time, while calmly ensuring everyone is safe. Thomas, a Frenchman, lives in the Pyrenees all year round. He speaks English as well as French and is the best person to teach you how to say “frog” in French! We have help at the chalet in the form of experienced chalet hosts who take care of the day to day chalet duties. They are experienced and creative cooks who love the outdoors and who live in the chalet in their private apartment.